Herbal vinegars extract and preserve the nutrients, medicinal properties, flavour and aroma of herbs so they can be used any time of the year. 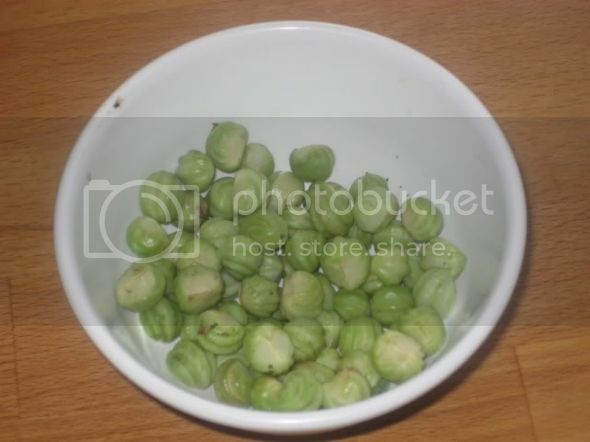 They can be used in soups, salad dressings, sauces, and marinades and in drinks diluted with water. They are cheap to make, and make attractive gifts. Some of the best herbs to use in herbal vinegars are: Chives, tarragon, dill leaves and seeds, basil, chervil, sage, thyme, rosemary, burnet, fennel leaves and seeds, garlic, lemon balm, marjoram, oregano, wild bergamot, hyssop, sage, lavender flowers and leaves, chickweed, catnip, nettles, plantain, red clover heads, chicory, dandelion flowers and leaves, raspberry leaves, savoury, all the mints, organic citrus peel, garlic, yarrow leaves and flowers, comfrey, and elder leaves and flowers. 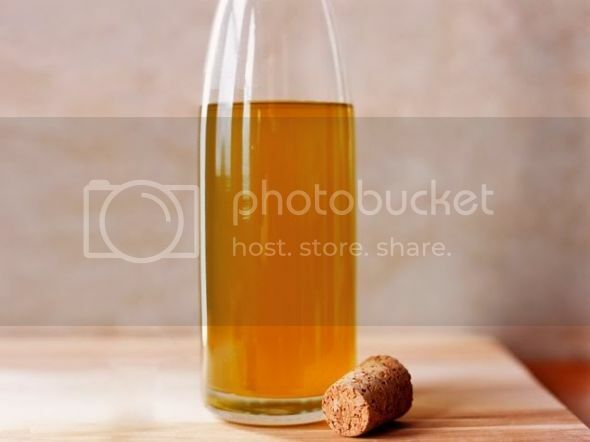 The best vinegar to use as a base is apple cider vinegar, either pasteurised or unpasteurised. Apple cider vinegar is a preventative and remedy for a wide variety of conditions. It contains a multitude of active constituents including minerals such as calcium and potassium, vitamins, trace elements, enzymes, anti-oxidants and amino acids. The flavour blends well with herbs without overwhelming them. Use wide-necked glass, or earthenware jars of the size that you can fill with the herb you are going to use. Canning jars are ideal, but use a smaller jar rather than have the jar only half full. Vinegar corrodes metal lids so use either plastic lids or greaseproof paper, or folded plastic bags and rubber bands to seal. Note: It is not necessary to boil the vinegar - just warm it slightly. 1. Completely fill the jar to the top with chopped herb, pressing it in lightly. 2. Warm the apple cider vinegar to room temperature and pour into the jar until it is full and the herb is covered. 3. Seal the jar with a plastic lid, or greaseproof paper and rubber band, or a cork. 4. Label the jar with the herb used and the date. 5. 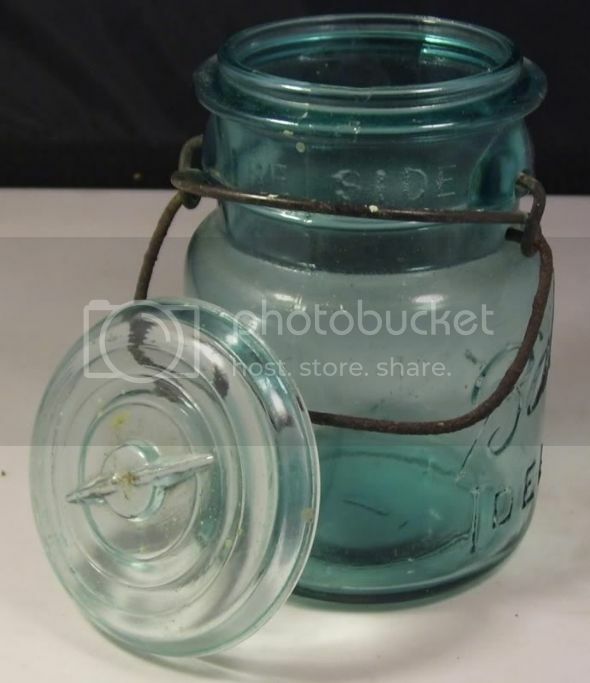 Stand the jar away from direct sunlight, in a moderate temperature, for up to six weeks. 6. Taste the vinegar and when it is ready, strain it through a coffee filter paper, muslin or jelly bag into a clean bottle. 7. Label the bottle. 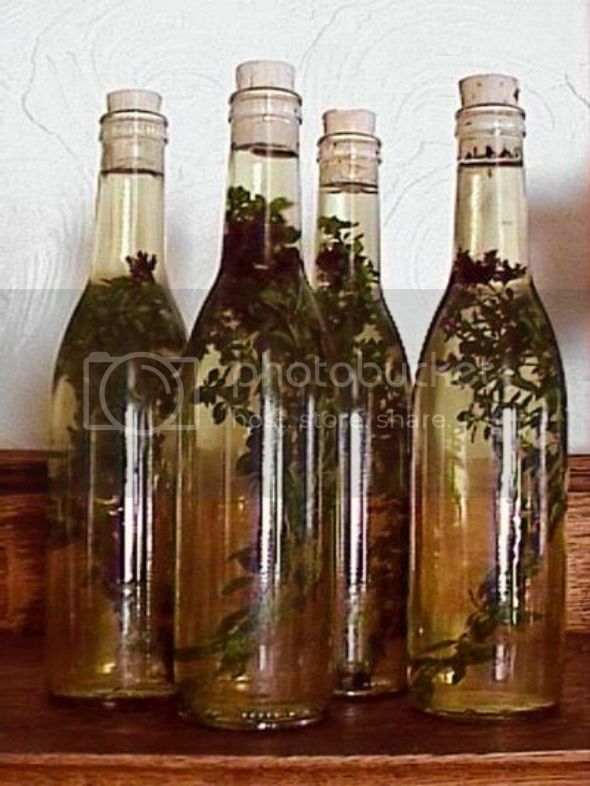 You might like to put a fresh sprig of the herb used into the bottle as a garnish and identification. 1. 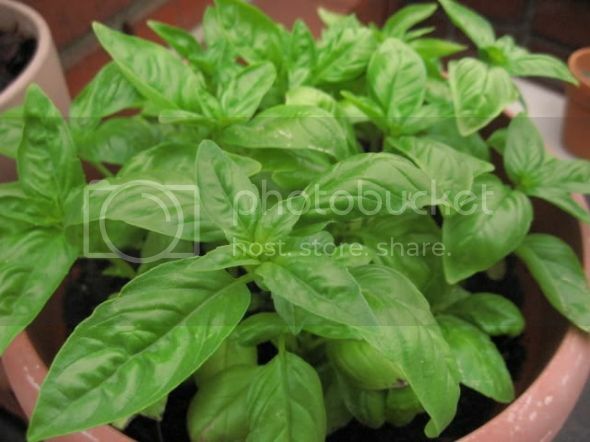 Fill a jar to the top with fresh chopped basil leaves and some crushed garlic cloves. 2. Warm the apple cider vinegar and pour into the jar to cover the herbs. 3. Seal tightly with an acid proof lid. 4. Stand in a moderately warm place, away from direct sunlight, for up to six weeks. 5. Strain through a coffee paper or muslin and pour into a clean bottle. Add a label and date. Use crushed dill, fennel, celery, anise or coriander seeds. Use the same method described above. Use to flavour salads and herb sauces. Chopped edible roots make tasty, nutritious and medicinal herbal vinegars. Good ones to use are dandelion, chicory, burdock, curled dock, or ginger roots. Herb vinegars made from flowers go well with fruit salads and are useful in beauty preparations. Elder flowers, nasturtiums, violets, pinks, lavender flowers, rosemary flowers, rose petals, and sweet leaves such as lemon verbena. Use the same method as for herb vinegars. 1. 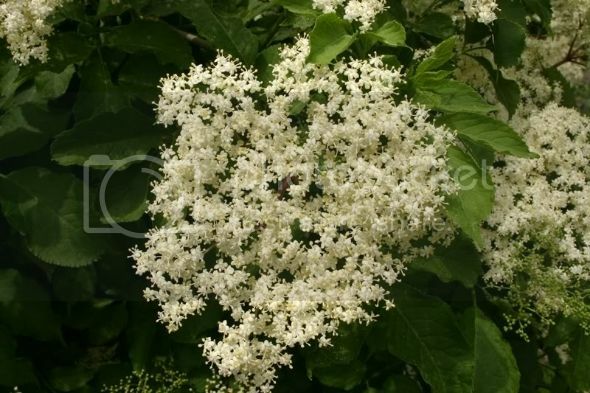 Fill a wide necked bottle with elder flowers and fill to the top with cider vinegar. 2. Seal tightly with an acid proof lid and stand in a moderately warm place away from direct sunlight for up to 6 weeks. 3. Strain with coffee filter paper, muslin or a jelly bag into a clean bottle. Use in salads, drinks or to flavour fruit dishes. Fruit vinegars preserve the minerals and vitamins of fresh fruits for use during the winter. They make a good cleansing morning tonic, ease coughs, colds and catarrh, and sooth fevers. They also make refreshing iced drinks in summer. 1. Place fruit in a jar and cover with cider vinegar. 2. Seal with an acid proof lid and leave to stand for 2 weeks. 3. Strain and bottle the liquid. Take 1 teaspoon in a cup of water as required. Pickled nasturtium seeds make a good substitute for capers. 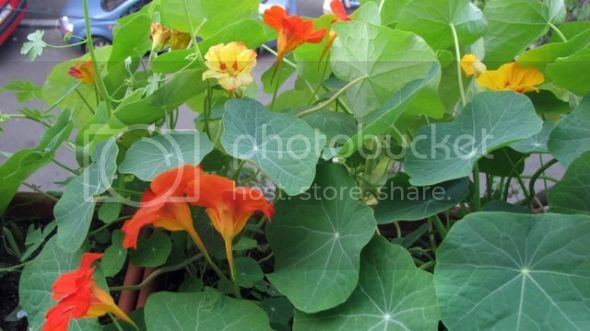 2 tablespoons green nasturtium seeds. 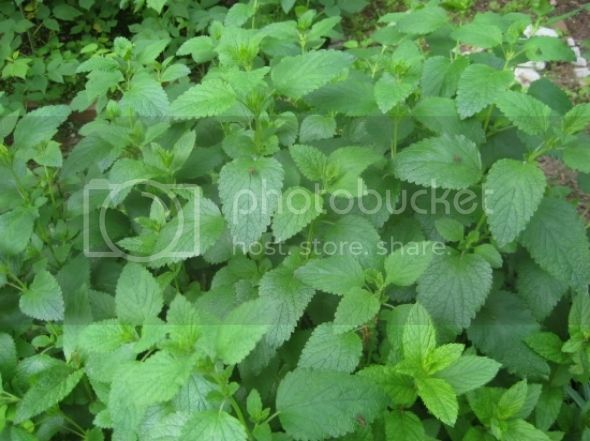 1 teaspoon English mace leaves. Apple cider vinegar to cover. 1. Steep the nasturtium seeds in brine (100g/4 oz salt to 1 litre water) for 24 hours. 2. Strain the seeds and put into a small jar. 3. Add the garlic, peppercorns, dill seeds and mace leaves. 4. Warm a cup of cider vinegar to room temperature. 5. Pour over the seeds, filling the jar. 6. Seal the jar with an acid proof lid and leave to stand for 4 -6 weeks. Keeps indefinitely unopened, but after opening, store in the fridge and use up quickly.